Looks to me like we got no help at all today. We don’t need no stinking help! LOL!!! I can see that my man Wyoming is trying to send y’all a signal of sorts! The answer is future Hall of Famer Brandon Marshall (Broncos, Dolphins, Bears, and stej). Why did I dig up this data? Because Matt Moore SHUT ‘Stabby’s’ (<– props to Mr. Walker for the moniker) mouth up, after Marshall had bad mouthed him years earlier. Marshall was targeted 11 times last night, but only caught ONE ball. I wonder how Marshall feels right now after Moore put on a CLINIC!!! Guess what, Brandon Marshall? You'd never hold the record you have (4 Pro-Bowls with 4 different teams) if it were not for MATT MOORE!!! Tough pill to swallow, huh?!! Hey M13, hope you’re well bud. Go Pats (excuse me while I go rinse the vomit flavor from my mouth!)! Right back at ya, Jahndoh! Hope all is well with you too! Nice to make contact with ya once again, bud! Even with Rhino’s watching guide I’m still not sure what I want to happen in all those games. LOL! How you doing M13. Hint 1 probably takes it out, but going to go with Randy Moss. Doin’ alright, Stanger! Good to make contact with you once again, my friend! Hope all is well with you too. GO PHINS!!! Glad to hear it. And am doing just fine. Marshall always seemed one big on body and talent, but probably not a long career. Thinking he is hitting that wall right now. FFR, the flaw in that thinking is that it’s already too late to hope we can get in without help. We could go 3-0 and still miss out if certain teams don’t lose. then they dont belong there. i just dont pull for other teams to get the team i follow into the playoffs. If the raiders lose today and we win out we have a legitimate shot at the second best record in the afc. Pets are winning. Things are looking good for us. The Christmas season always brings out the best in me, realizing what it’s all about. That Mike E had reached out to me in good faith last Christmas truly touched my heart… we’re two of the good guys in this world. The hatchet was buried INSTANTLY that he cared enough to reach out to me, after all of the bad blood regarding the blog split. Some of y’all are interlopers (going back and forth between the two blogs), and I really appreciate that bridge being it’s forged by PEACE, GOODWILL, and UNITY! Good folks like Tim, Mike E, Wyoming, Al (<– I've not heard from him in some time… hope he's alright), Prof Lou, and Dbolt (I may be regretfully forgetting a couple of others… apologies in advance) have served to keep these two blogs together as fam. I hope and pray in this Christmas season that these differences can be reconciled over time… and I'm already seeing some healing! That's GRAND!!! Many… MANY of you here on the good Finsmob Unleashed are my friends! I'm tired of the divide and I will the walls to come down. However, it takes "two to tango", as it were… and I can't fix broken hearts/friendships by myself. I'm LOYAL to my man and friend MR. Walker, but that doesn't mean we can't PEACEFULLY disagree, coming together as ONE once again. Alright, I'm getting windy here. I just wish that we could be as we were back in time… with love, respect, and understanding… and ESPECIALLY when we disagreed with one another. It's alright to disagree!!! Doesn't mean one needs to hate thy Brother!!! FFR, Then you’re sunk when it comes to “do I have a reason to root for them this season?”. Teams make the playoffs every single season because they had help. When you nab that commissioner’s job you can change the rules so that teams who need help don’t get in, but until then, I’m gonna root like a sob that we DO get in! Time heals most wounds, but it requires the spirit of forgiveness from both sides of a conflict. Hope everyone has that spirit. Pats have 11 wins with three to go and play the Jets at home next week. Wouldn’t worry about them making the playoffs too much. Would be nice for use to get to 11 though. Heck 10 wins and a couple Bronco losses would be nice. I was so angry at Brandon Marshall after Matt Moore got Stabby into the Pro Bowl, and all Stabby says is it will be nice to play for a real QB. F U Stabby! Jags game just ended and the might not have even gotten on the plane yet. i didnt say i had nothing to root for. all i said is i dont waste my time rooting for other teams to do things so the team i follow can back door into the playoffs. if they cant make it on their own then as far as i am concerned they dont belong. Woohoo!! Fins now in sole possession of the 6th spot and control their own destiny. And the Pats have clinched both the division and a bye. Hoping they have home field wrapped up after next week……would make it easier for the Phins to control that destiny thing. lol hoping to get the pats at their weakest cause the fins are so bad cant beat them other wise. i would rather the cheats not get home field advantage then the fins back into the playoffs and are 1 and done. Your choice on that of course ffr. I’m sorta happy with nine wins and the chance for eleven, no matter how the last two come….but that’s just my choice. We each root in our own way and been 2008 since playoffs. If we win and TEN, BAL, and DEN all lose wouldnt that give us a 2 game lead with just 1 left to play? Regardless of what happens in the playoffs, 5-1 in the division would be huge bragging rights. Nice to see MF13 on here. You are always welcome on the blog. Anyone from the other blog is welcome here. We’ve beaten the pets 3 straight times in miami. We seem to have their number there. I likeour chances. I like our chances too, particularly if the Pats beat the Jets next weekend. KEN: IN early November of 1972 I asked for the “completion of THE PERFECT SEASON!” As you know, my wildest dreams of ABSOLUTE PERFECTION came true!! Winning the Super Bowl this season after a 1-4 start would be a VERY close second to my dreams of PERFECTION! It would have been nice to have Pitt and Balt lose… but the most important team to lose (Denver) happened. If we win vs Buffalo… it’d be ok to cheer for Balt over Pitt, I believe. Time to prep for Buffalo… we are 3-1 in the division. Let’s make it 4-1 !! Yes indeed, if they play like today we have a great chance of beating them. I’ll meet you there Rhino! I’m not a rocket Scientist! But if we go to 11-5 nobody knocks us out!!!!!!!!!!! 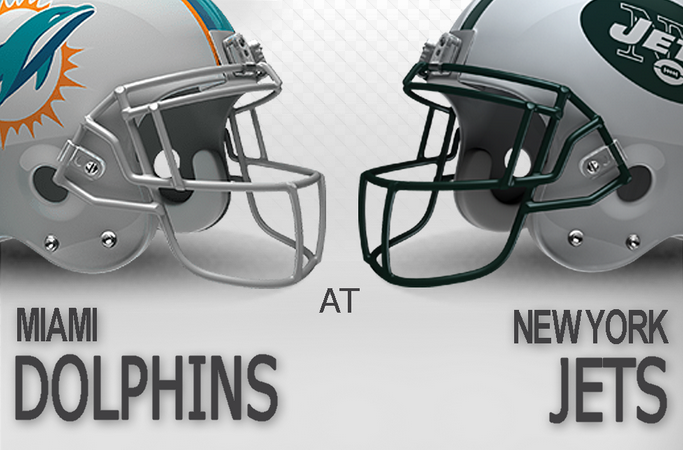 Hey everybody…great Win by the Phins on the road against the hated jests! This is what real coaching looks like with injuries and sometimes lesser talent at key positions. High praise for Gase, VJ, and their staffs like Clyde Christensen, Anarumo, Washburn, Rizzi, etc. The defense has it’s gaping holes, but I love the way VJ plays them with a more aggressive and gambling scheme. 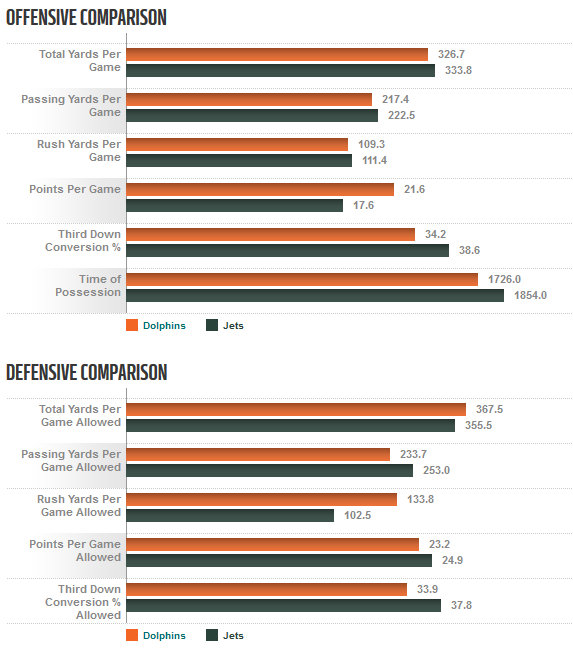 The TO differential is so huge to cover for those defensive weaknesses….Kudos Vance Joseph & Adam Gase! By performance you mean for him to light himself on fire and let the fans decide whether to piss on him or not? It’s in J’ville so maybe the team will rally around the interim HC like we did with Campbell for 2 games. Balt last 2 games are both division rivals on road @ Pitt, & @ Cincy. LMAO @ Brandon Marshall 11 targets > 1 catch 16 yards. Lippett had more catches than Brandon Marshall. Lippett played 55 snaps with no completions! Almost gives you the warm fuzzy! Yeah, that clause. That’s the ticket! Lippett and Howard played decent but a real QB and not Bryce Petty back there and it’s a different ballgsme. Marshall and the others were getting open and the QB wasn’t getting it out on time allowing our DBS to catch up and make plays. It was a good performance and very good confidence builder for the youngsters. Can’t wait to see them blossom more in year 2.